Morgan followed a remarkably non-traditional path to achieving her dream of becoming the founder and CEO of Designing Leadership. She’s in the business of creating amazing leaders and helping women achieve their most exciting dreams. She is here to share how she turned a dream to lead others into a purposed-filled business. It started with a deep internal calling to do more by becoming more. What began as a side-gig while juggling her corporate role and raising children, has developed into her full-time passion and focus. 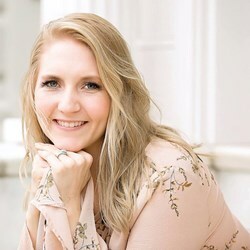 As a Life and Leadership Coach and Certified John Maxwell Team Member, Morgan applies her unique ability to deeply connect with her client’s true desires by overseeing their professional and personal growth and giving the exact steps on how they can achieve every single one of their dreams and goals. She does this by pushing her clients past their limiting beliefs and outside their comfort zone, outlining their path to achieving a life they truly deserve and desire, and helping them master their mindset. Because of these methods, Morgan has helped countless women discover their soul's purpose and begin leading a purposeful life. Morgan's proven methods and strategies are not only effective, they evolve her client’s into absolute powerhouse leaders they’re meant to be. Her passion in supporting the pursuit of dreams is one of the many reasons she's helped so many others experience success. When Morgan isn't elbows deep in "making the most of this life," she’s relaxing on the couch with Ed, her husband, sipping on a giant cup of coffee and watching her two children play with her three adorable bulldogges. Morgan is also a loyal Gryffindor and regularly journeys back to Hogwarts (aka Orlando) as much as humanly possible. If you’re unsure about how to open the conversation with Morgan, I’d lead with a little Harry Potter trivia.